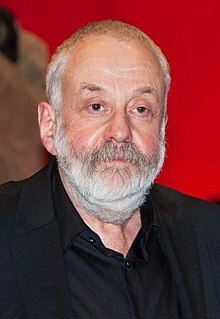 마이크 리(Mike Leigh, OBE, 1943년 2월 20일 ~ )는 잉글랜드의 영화 감독이다. 2015년 BAFTA 평생공로상(BAFTA Academy Fellowship Award)을 받았다. ↑ 가 나 “Supplement to The London Gazette: Birthday Honours - United Kingdom”. 《The Gazette》 (영어) (런던) (53332): 12. 1993년 6월 11일. 2015년 9월 10일에 확인함. 이 문서는 2018년 8월 22일 (수) 16:42에 마지막으로 편집되었습니다.